CPCC Theatre to Perform “Evita” Feb. 16 – 25, Student Tickets Just $5! CPCC Theatre is excited to bring Tim Rice and Andrew Lloyd Webber’s Tony-award- winning musical “Evita” to the Halton stage for the first time. With a strong cast of characters torn from the fiery pages of Latin American history, “Evita” represents one of Lloyd Webber’s most beloved scores, combining Latin, jazz, pop and more traditional influences. With such well-known songs as “Don’t Cry for Me Argentina,” “Buenos Aires” and “Another Suitcase in Another Hall,” “Evita” has captured audiences’ hearts around the world! CPCC Theatre Brings “The Crucible” to the Pease Auditorium Stage Oct. 27 – Nov. 5, Student Tickets $5! CPCC Theatre is excited to bring Arthur Miller’s classic play “The Crucible” to the Pease Auditorium stage Oct. 27 – Nov. 5. When a group of young girls is found dancing in the woods, and immediately fall ill, no earthly cause can be determined. However, the citizens of Salem suspect that some more sinister force may be at hand. As long-held grudges turn to violent disputes, humiliating secrets are exposed and disseminated, and the line between truth and pretense becomes increasingly blurry, the citizens’ dogged determination to root out evil becomes more dangerous than the evil itself. Winner of the 1953 Tony Award for Best Play, Arthur Miller’s “The Crucible,” remains as relevant as ever, and carries with it a stern warning: in every community torn by suspicion, the most dangerous threat may be the community itself. WHEN: October 27 and 28, November 2, 3 and 4 at 7:30 p.m.
October 29 and November 5 at 2:30 p.m. Individual tickets are $18 and a $10 ticket is available for children under 15 with the purchase of an adult ticket. College and high school students who have a valid student I.D. can purchase a $5 ticket. Tickets may be purchased online at tix.cpcc.edu, at the SunTrust Box Office from 10 a.m. to 5 p.m., Monday – Friday or by calling 704.330.6534. Free parking is available in the Theater parking deck, accessible from E. 4th St. Connect to CPCC Arts on Facebook at https://www.facebook.com/cpccarts. CPCC Theatre’s Production of “Ragtime” Receives Rave Review, $5 Student Tickets Still on Sale! 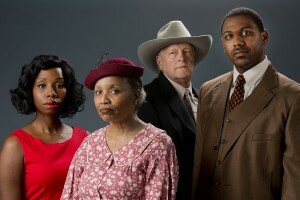 CPCC Theatre’s recent production of “Ragtime” has received a glowing review from BroadwayWorld.com. Tickets are still on sale for the production which runs through Feb. 19! Plus, student tickets are just $5! What are you waiting for? Reserve your seat today by visiting tix.cpcc.edu. 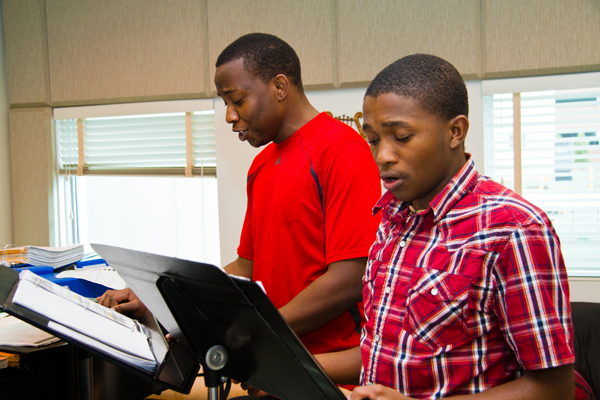 CPCC Theatre Individual Tickets Go On Sale Sept. 1, Student Tickets Just $5! CPCC Theatre is pleased to announce individual tickets go on sale for its upcoming season on Sept. 1. This year, the troupe will bring an incredible lineup of quality shows, including the local premiere of “Pride and Prejudice,” at prices the entire family can enjoy. In addition, parking is free for all productions. College and high school students who present a valid student I.D. may purchase a $5 ticket. For more information or additional ticket prices, please call CPCC’s SunTrust Box Office at 704.330.6534 or visit tix.cpcc.edu. Sensoria Performances Are Around the Corner! CPCC Theatre is excited to wrap up its 2015-2016 season with Tom Stoppard’s “Rosencrantz and Guildenstern are Dead,” April 8 – 17, in Pease Auditorium. Considered Stoppard’s best-known work, the play follows the duo of Rosencrantz and Guildenstern, a Shakespearean Laurel and Hardy, who finally get a chance to take the lead role, but do so in a world where echoes of “Waiting for Godot” resound, where reality and illusion intermix, and where fate leads the two heroes to a tragic but inevitable end. The timing of the production couldn’t be more perfect; April 2016 marks the 400th anniversary of Shakespeare’s death. As a result, the troupe’s performance of “Rosencrantz and Guildenstern are Dead,” is part of a larger, global celebration slated to recognize the Great Bard’s passing. WHEN: April 8, 9, 15 and 16 at 8 p.m.
April 10 and 17 at 2:30 p.m. Individual tickets are $18 and a $10 ticket is available for children under 15 with the purchase of an adult ticket. College and high school students who have a valid student I.D. can purchase a $5 ticket. Tickets may be purchased online at tix.cpcc.edu, at the CPCC Box Office from 10 a.m. to 5 p.m., Monday – Friday or by calling 704.330.6534. 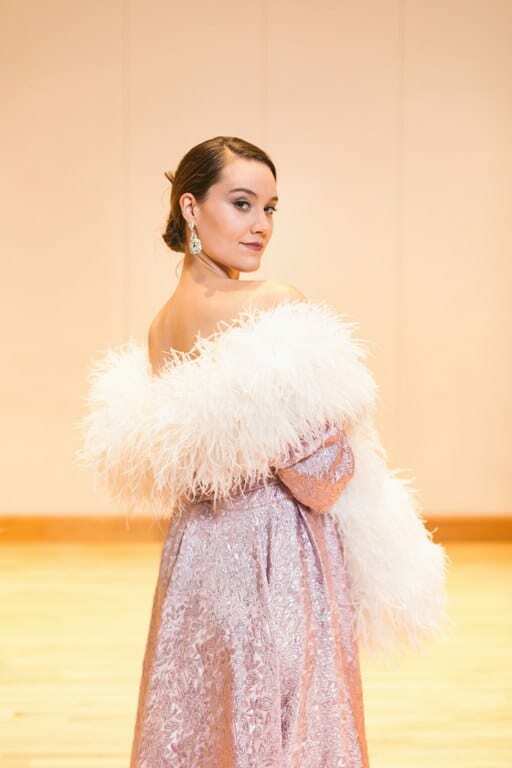 CPCC Opera Theatre will present Gian Carlo Menotti’s one-act opera “The Old Maid and the Thief” and his short, two-act opera “The Medium,” during this year’s Sensoria celebration in the Halton Theater. Both operas have haunting melodies and deal with a common theme of powerful women and their influence, often negative, on the lives of others. WHEN: April 8 and 9 at 8 p.m.
April 10 at 2:30 p.m. Individual tickets are $20 and $18, and a $10 ticket is available for children under 15 with the purchase of an adult ticket. College and high school students who have a valid student I.D. can purchase a $5 ticket. Tickets may be purchased online at tix.cpcc.edu, at the CPCC Box Office from 10 a.m. to 5 p.m., Monday – Friday or by calling 704.330.6534. CPCC Theatre is excited to present “I Love a Piano,” Feb. 12 – 21 in its Dale F. Halton Theater. The production celebrates the music and lyrics of one of America’s most prolific songwriters – Irving Berlin. 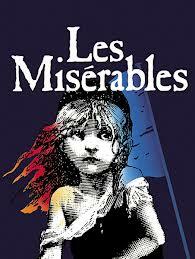 WHEN: February 12, 13, 19 and 20 at 8 p.m.
February 14 and 21 at 2:30 p.m.
February 18 at 7:30 p.m. Individual tickets are $18 and a $10 ticket is available for children under 15 with the purchase of an adult ticket. College and high school students who have a valid student I.D. can purchase a $5 ticket. Tickets may be purchased online at tix.cpcc.edu, at the CPCC Box Office from 10 a.m. to 5 p.m., Monday – Friday or by calling 704.330.6534. Free parking is available in the Theater parking deck, accessible from 4th St. Connect to CPCC Arts on Facebook at https://www.facebook.com/cpccarts.